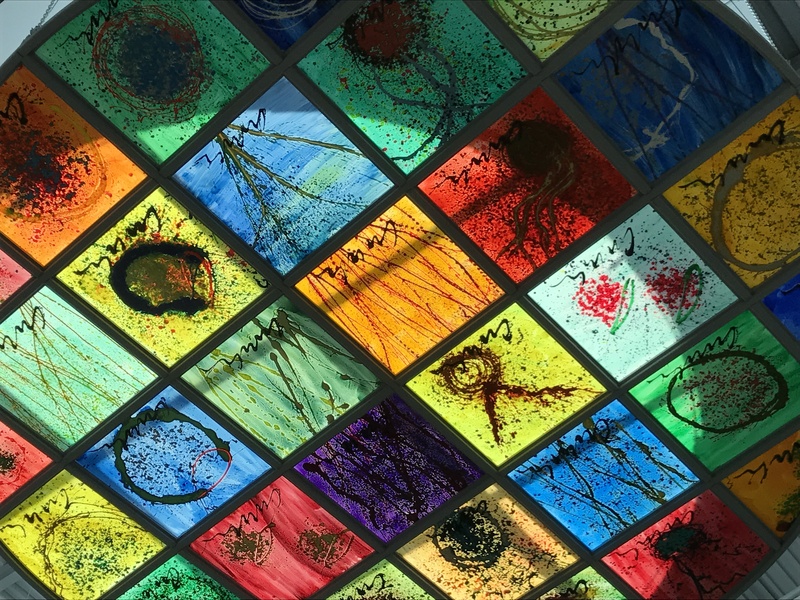 Sun Garden Panels in Suspended Circles: Located at the Columbus Learning Center at 4555 Central Ave., Chihuly created, painted and signed each of the 32 painted plexiglass panels, each representing one of his blown-glass forms. Also at the Visitors Center is “Persians”, a glass sculpture made up of a common form used often by Dale Chihuly. The hand-spun glass plates are installed within the two-story bay window surrounding the open staircase between the first and second floors. The Persians were a gift from J. Irwin and Xenia Miller in 1995.